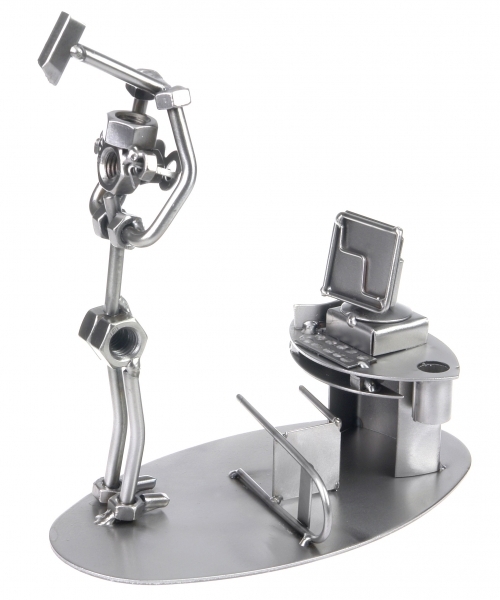 A metal figurine aiming a hammer at a computer. Does your computer crash? Things went wrong on the stock market? Our metal friend has found a solution! A practical pen handle is a unique decoration for your desk.